What could be better?! 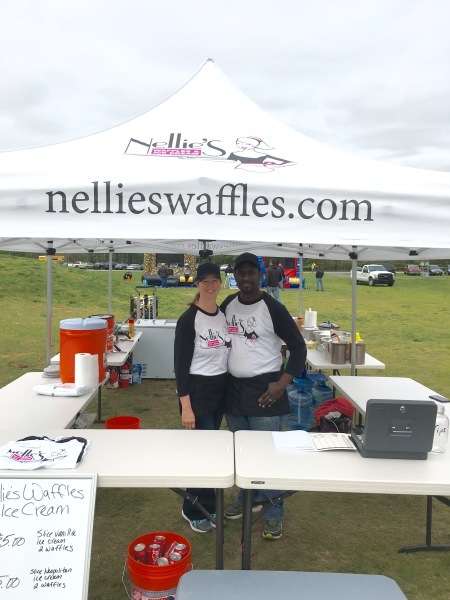 Our waffle and ice cream sandwiches are made to order, which means you always get a delicious slice of vanilla or Neapolitan ice cream surrounded by two fresh off the griddle fluffy waffles sprinkled with powdered sugar. 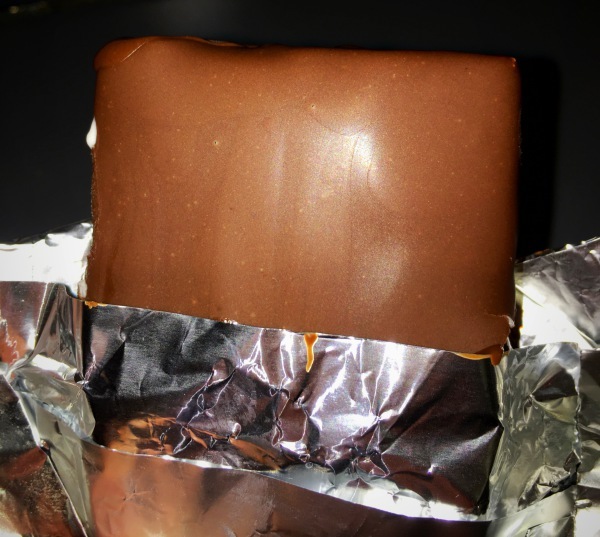 Additionally, we offer made to order hand dipped ice cream bars, comprised of a slice of vanilla or Neapolitan ice cream dipped in chocolate shell. Interested in both? We have a sandwich that combines the two. 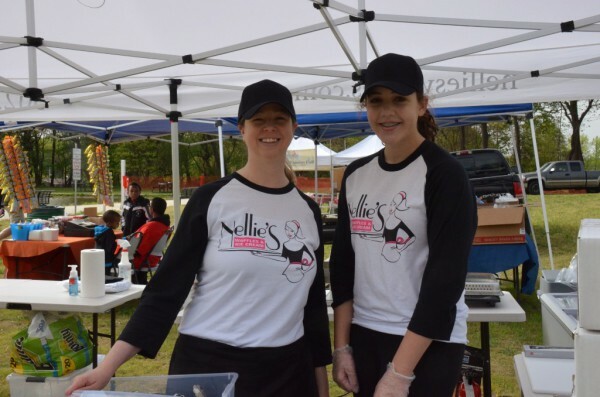 Our sandwiches are sure to please the entire family. 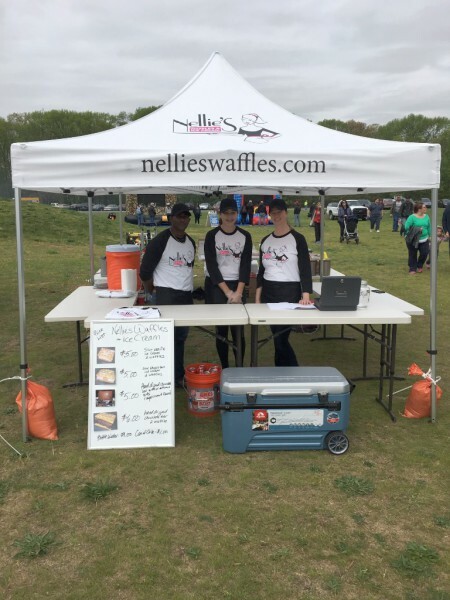 Nellie's Waffles and Ice Cream, delivering high quality, unique and delicious ice cream treats at fairs, carnivals, and special events, with an emphasis on customer service and conjuring feelings of nostalgia for the great American midway. Now Serving Chicken and Waffles!! You asked, we answered!! You love us for our waffle and ice cream sandwiches, but this season we are expanding our menu to include chicken and waffles. 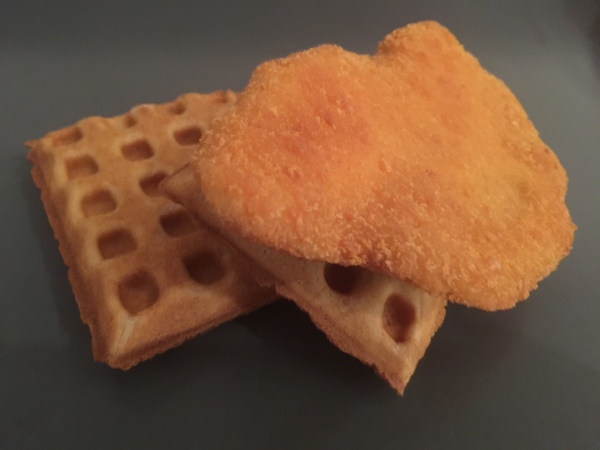 The same great waffles you love paired with breaded chicken cooked in the fryer, served to order. Enjoy with a side of maple syrup. 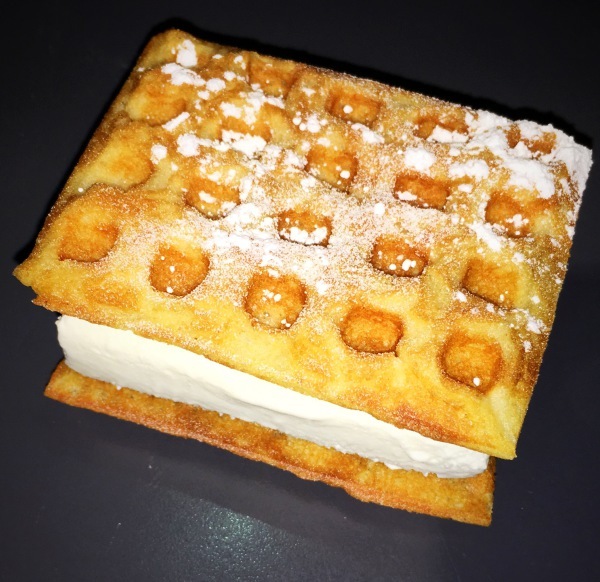 Two 3.5 by 3.5 inch square waffles surround one square slice of vanilla ice cream sprinkled with powdered sugar. 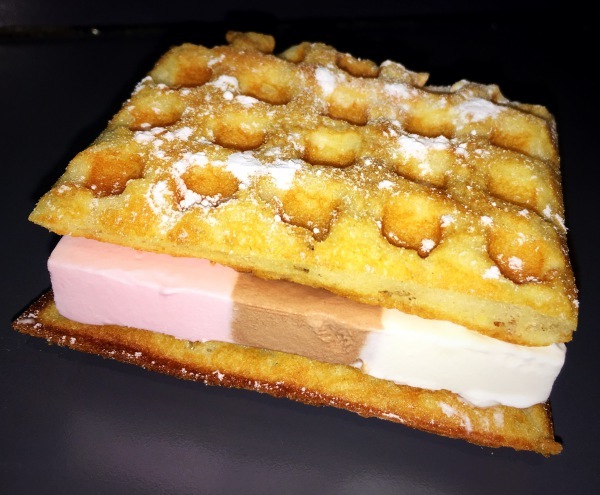 Two 3.5 by 3.5 inch square waffles surround one square slice of Neapolitan ice cream sprinkled with powdered sugar. 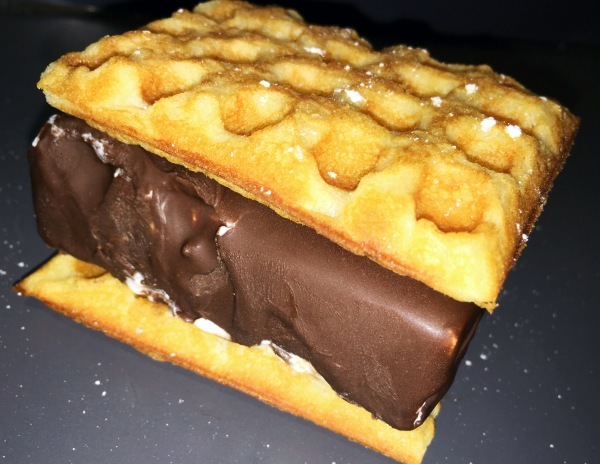 Two 3.5 inch by 3.5 inch square inch waffles sprinkled with powdered sugar surround a hand dipped chocolate bar made with a slice of vanilla or Neapolitan ice cream.